It was a sad day when my totally adorable beehive blender broke. I ended up waiting a few weeks to get a new one, and after some research, I decided to purchase Cuisinart’s SPB-600 SmartPower blender — I love it — this gal needs a machine with plenty of power! My first project was a new smoothie recipe. It is a hybrid of a few others I make on a regular basis, so, here goes! This smoothie is filled with antioxidants, protein, calcium, fiber, and tons of energy-boosting properties — amazing for achieving that “recharged” feeling! 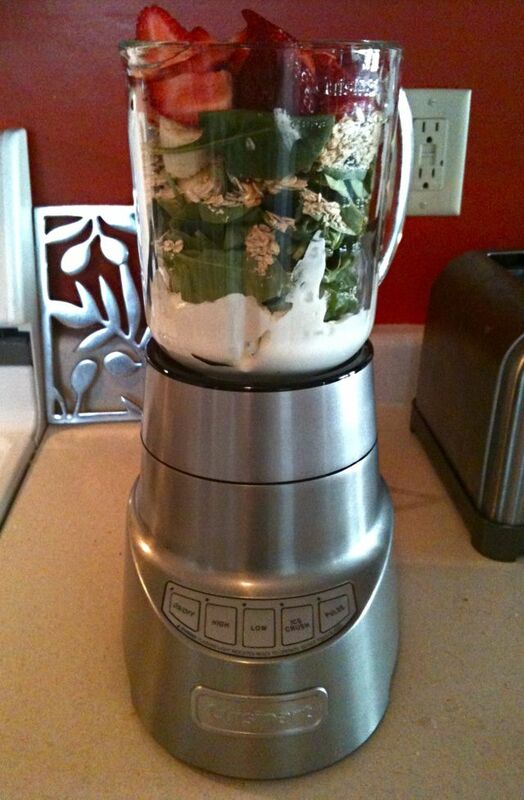 Have you ever tried spinach in a smoothie? I wasn’t sure if I could handle the taste, even though I love my greens, but honestly, you barely notice that it’s even in there! It’s a great way to sneak in some extra veggies in your diet without really trying! 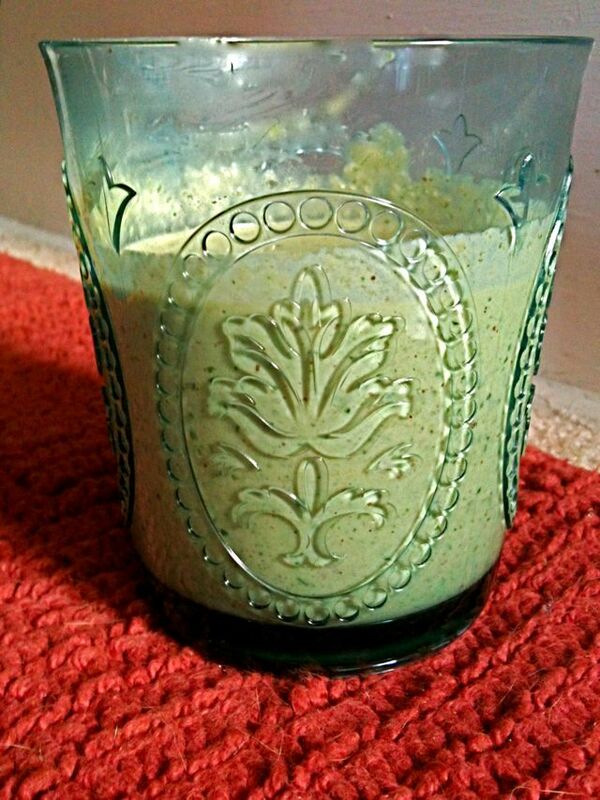 I would love to give it a whirl…after all, I have to break in my new blender! I just got a new one, and that’s what’s inspired me 🙂 I definitely will! I need to try your smoothie. Mine are mostly frozen fruit and soy milk. Have a Safe and Happy 4th. That sounds good too! Have you tried almond milk? It’s really delicious too!